“The Thrill of the Grass” by W.P. Kinsella has to be one of the most perfect short stories ever written. Combining insights about family, change, and baseball, the only problem with this gem is that it’s a short story and ends all too quickly. 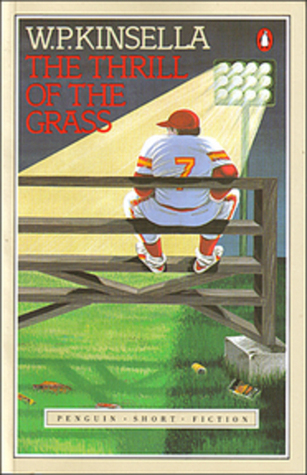 Kinsella is famous for his baseball themed literature, most of all for his 1981 novel Shoeless Joe, which will live forever as the basis for the classic movie Field of Dreams. I first heard “The Thrill of the Grass” on Selected Shorts, a NPR radio show that features actors reading short stories. Humorous moments, such as the narrator’s feelings of betrayal as his daughter chooses to watch the game from the “other”, third base, side with her boyfriend, rather than his customary first base side, are abundant. The ending leaves the reader smiling, and perhaps a bit teary. The fundamental truth: a baseball game is nothing but a great slow contraption for getting you to pay attention to the cadence of a summer day. 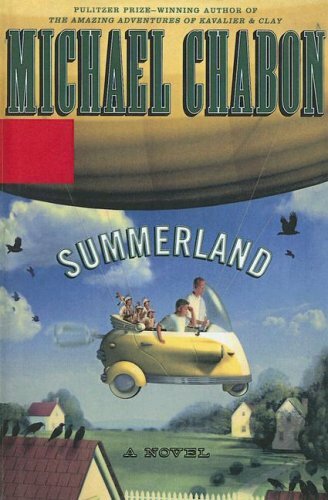 Summerland is a difficult book to describe. Eleven year old Ethan has been selected by the ferishers (fairy-like small people based on Native American mythology) to be their champion on their baseball team. The villain, Coyote, is trying to bring about Armageddon, and he’s kidnapped Ethan’s father, who is the inventor of the personal zeppelin. All this sounds odd and convoluted, but trust me, it’s enjoyable novel and many games of baseball are played. What happens when you get what you wish for? Will you choke and be unable to handle it? Will you embrace your dream fully? And what if it wasn’t your dream, but someone else’s dream for you? Henry Skrimshander is a college shortstop phenomenon, about to break the college record for innings without errors, when he lets loose a wild throw that sends his roommate and fellow teammate into the hospital. How Henry handles his vulnerability is at the heart of this novel, but the other characters face equally terrifying self revelations. The character of Mike Schwartz, Henry’s mentor and baseball team captain, is a compelling portrait of a college athlete with worn out knees, and a possible painkiller addiction. Henry’s personal bible is a book called The Art of Fielding, written by a major league shortstop. I found this metafictional aspect of The Art of Fielding especially fascinating, since Summerland also uses this device. Summerland‘s fictional reference is called How to Catch Lightning and Smoke, a reference book for would-be catchers by E. Peavine, and is the “source” for my favorite quote above. The zen-like wisdom from the fictional The Art of Fielding is both a guide and frustration to Henry. Mulling over some of the wisdom of the fictional The Art of Fielding, I stumbled upon this very well written blog piece: The buddhist-baseball-wisdom-of-aparicio-rodriguez. 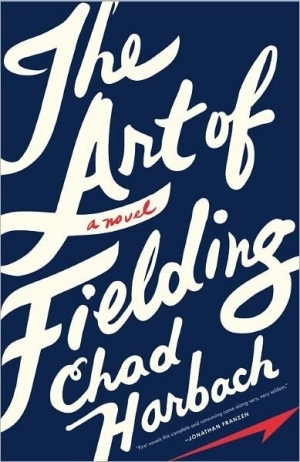 The author and I have a different approaches to The Art of Fielding – he comes to the novel through an enjoyment of sports themed literature, while I enjoy the literature and am surprised by the sports themes. But I believe that this is the most basic truth about baseball novels: they are never really just about baseball. As always, if you can recommend any other baseball themed books you have enjoyed, please let me know the title in the comments section. Thanks!